Click File > Save to save the changes made to the active file under the current name. If you are saving an untitled file, the Save File As dialog is opened where you can enter a file name. You can also use the Save File As dialog to save the active file under a new name or in another location. If the file name already exists, you are asked if you want to replace the existing file. • Save in -- Lists the current directory. Use the drop-down list to select a different drive or directory. 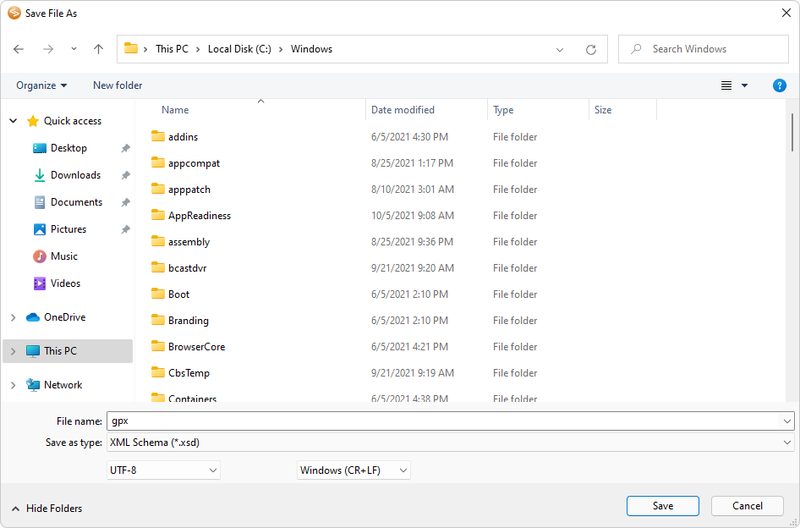 • Files -- Displays the files in the current directory that match the file type in the Save as type combo box. • File name -- Enter a name for the file you are saving. • Save as type -- Choose a file extension. All files in the current directory of the selected type appear in the Files list box. • Encoding -- Choose a file encoding, see Working with Unicode for more information on the encodings. • Newlines -- Choose a file format. For more information on how to save files to a remote FTP, SFTP or WebDAV server, please go to FTP, SFTP and WebDAV.